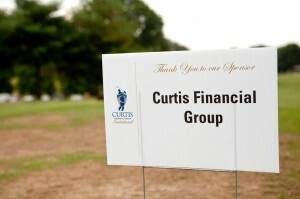 On Behalf of all the Members of the Board of Directors of 2ND Base Foundation, I want to express our sincere thanks and gratitude to the Curtis Financial Group, to Dan Curtis, Justin Curtis, Two Rivers Golf Course and Staff, to each and every sponsor, participant, organizer, and worker who have gone out of their way to make this event possible for the benefit of 2ND Base Foundation and Camp Macleod. We are extremely grateful to everyone for the dedication of their time, hard work, and contributions to make this event successful. This fund raiser is so important in providing ongoing construction and maintenance of our Camp, which is dedicated to be used by children at no cost to them -be they At Risk Children, Underprivileged Children, Boy Scouts, Girl Scouts, Cub Scouts, or Church Youth groups – it is there for the use and benefit of all children who can come to the facility. Again, thank you for the wonderful help and support which has gone into this event. We will continue to do everything we can to make each dollar raised provide the greatest benefit possible for the children. GOD Bless! The following is the list of Sponsors, Sponsor Support, and Tournament Volunteers.